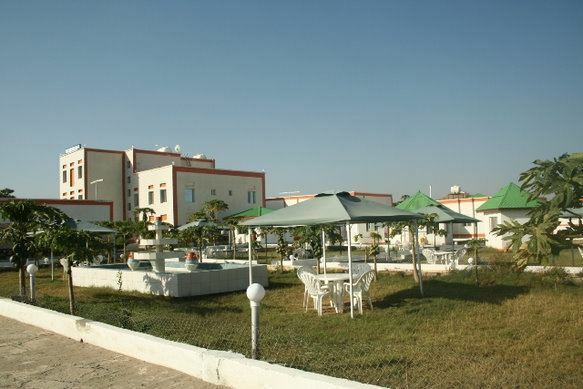 Borama (Somali: , Arabic: ? ), also known as Borame, is the capital of the northwestern Awdal region of Somalia. The commercial seat of the province, it is situated near the border with Ethiopia. During the Middle Ages, Borama was ruled by the Adal Sultanate. It later formed a part of the British Somaliland protectorate in the first half of the 20th century. The city has a population of around 215,616 residents. It has been a leading example in community organizing, having been the first area in northwestern Somalia to adopt a self-help scheme in the wake of the civil war. 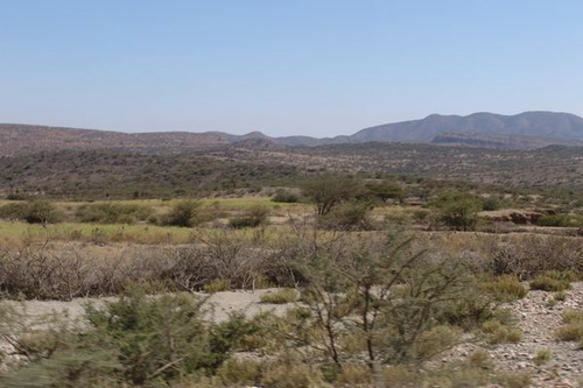 As with several nearby towns such as Amud, numerous archaeological finds have been discovered in the Borama area that point to an eventful past. The latter include ancient remains of tombs, houses and mosques, in addition to sherds of Oriental wares, particularly Chinese porcelain. The artefacts and structures date from various historical periods, ranging from the 12th through to the 18th centuries. Most, however, are from the 15th and 16th centuries, a time of great commercial activity in the region that is associated with the medieval Adal Sultanate. Excavations in the late 1800s and early 1900s at over fourteen sites in the vicinity of Borama unearthed, among other things, coins identified as having been derived from Kait Bey, the eighteenth Burji Mamluk Sultan of Egypt. Most of these finds were sent to the British Museum for preservation shortly after their discovery. In the first half of the 20th century, Borama formed a part of the British Somaliland protectorate. It was later given district status in 1925. In 1933, Sheikh Abdurahman Sheikh Nuur, a Quranic teacher and son of Boramas qadi (judge), devised a new orthography for transcribing the Afro-Asiatic Somali language. A quite accurate phonetic writing system, this Borama script was principally used by Nuur and his circle of associates in the city. The alphabet is also generally known as the Gadabuursi script. During the onset of World War II, the town was captured by the Italians. It was re-captured by the British the following year, in 1940. In the post-independence period, Borama was administered as part of the official Awdal administrative region of Somalia. During the Ogaden War in the late 1970s, Borama was one of several northern cities that was aerially bombarded by Ethiopian forces. Since the 2000s, control of the town has been disputed between Awdalland, a proposed autonomous state, and Somaliland, a self-declared republic that is internationally recognized as an autonomous region of Somalia. Borama is situated in northwestern Somalia, in a mountainous and hilly area. It has green meadows and fields, and represents a key focal point for wildlife. The towns unusual fertility and greenery in the largely arid countryside has attracted many fauna, such as gazelles, birds and camels.